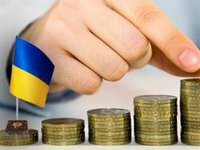 Consumer prices in Ukraine fell by 0.7% in July, while since the beginning of the year their growth was 3.6%, the State Statistics Service of Ukraine has reported. According to the agency, in annual terms (July 2018 to July 2017) inflation slowed down to 8.9% from 9.9% in June and 11.7% in May. Underlying inflation in July 2018 also fell to minus 0.1% from zero in June. Since the beginning of the year, the growth of the basic consumer price index stood at 3.4%. In annual terms, the growth of the index slowed to 8.8% from 9% in June.